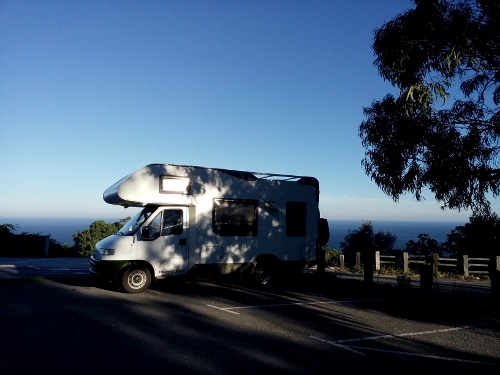 Below is the list of campsites where we stayed during our trip to Northern Spain, on our way to Santiago de Compostela. 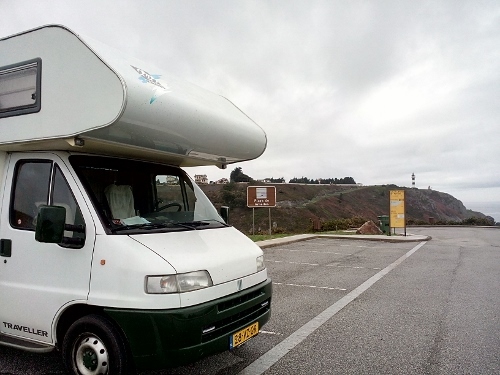 We left Gaanderen (The Netherlands) on October 18, 2015, arrived a month later inSantiago de Compostela, following the coastal route, and then arriving at our last stop in Spain, in Baiona on November 20, 2015 after driving a distance of 2848 kilometers. 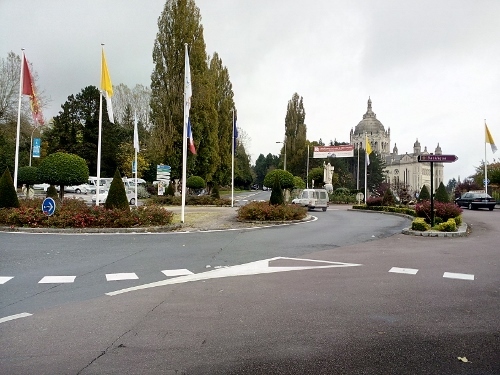 Mix-Parking near the Cathedral of Lisieux. About 1 km walk to the center. Free. No services. 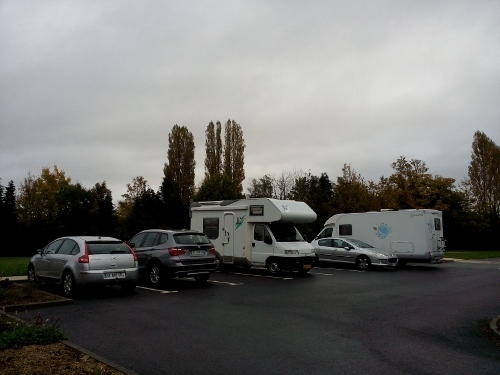 Area services for camper is by the parking infront of Tourist office, using a token. Nice stop for pilgrimage and visit to St. Therese of Infant Jesus. Stayed 3 days (Oct. 19-21). Mix-Parking. No services. About 500 meters from the city center. Free. Market on Thursday morning. Stayed 2 days (Oct. 22-23). Mix-parking, quiet village, follow board with P. Water and Toilet near the tourist office. Free. Medieval beautiful village. Stayed one day (Oct. 24). 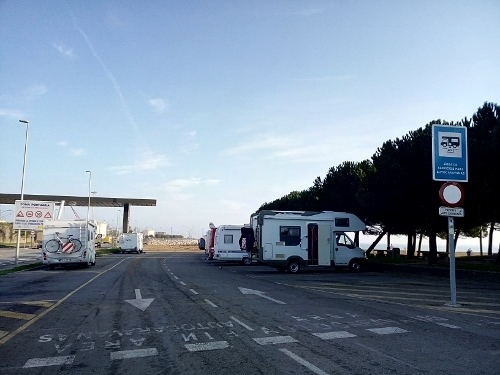 Special parking for campers by the harbour Port Plaissance La Rochelle. About 2.5 km to the city center, nice biking route to the center. Near the beach Minimes. Free. 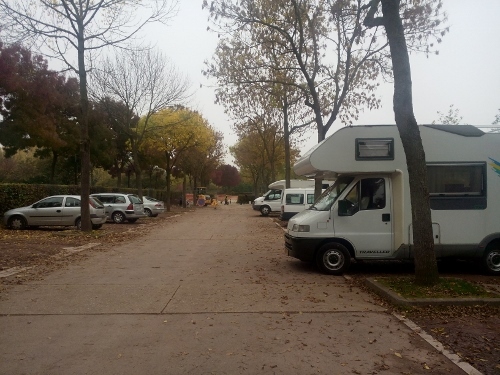 Services for camper is by the entrance to the municipal camping which is about 1 km from the parking. Internet, 1 euro per dag. Laundry services nearby. Market at la Rochelle is Wednesday and Saturday. Stayed 5 days (Oct. 25-29). Small parking by the coast. Center is 500 meters. Free. No services. About 4 km to Dune du Pilat. By Dune du Pilat, free parking beside the Camping La Foret. Stayed 1 day (Oct. 30). Paid Mix-parking by the harbour, from October to May, free parking. Near the Hondarribia beach. About 500 meters from the old town, which is doable by walking or by biking. Water at the beach, beach showers. Stayed 2 days (Oct. 31- Nov. 1). 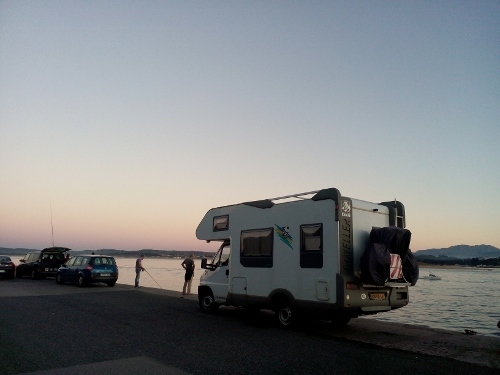 Special parking for campers, by the shipyard and harbour. About 1 km walk to the center. Free. 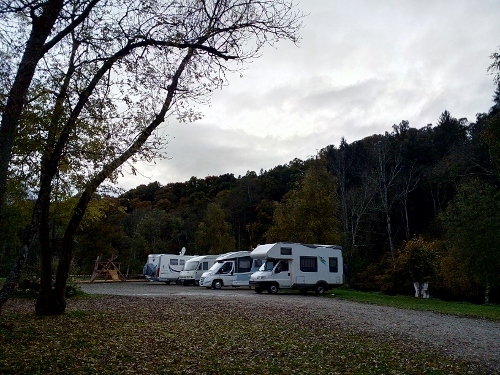 Area services for campers is at the industry area Trenbedia by river Urola. Internet at the tourist office. Stayed 5 days (Nov. 2-6). Mix-parking. Free. No services. Stayed one day (Nov. 7). Mix-parking by the port and Playa Los Peligros. Water and toilet present. Free. About 2 km to the city center. Good biking and walking routes. After 3 days, police told us it was not allowed to park there. Stayed 3 days (Nov. 8-10). 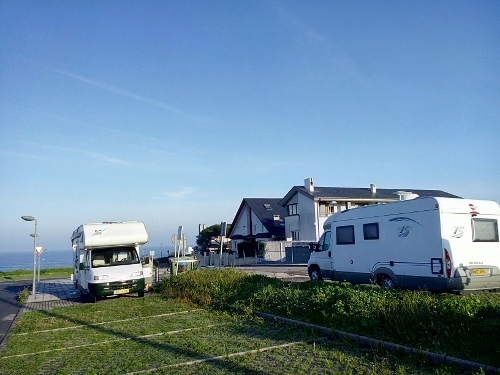 Parking special for campers, infront of the port of Gijon and the beach. Too much noise from vehicles : cars, trucks and train. About 3 km to the city center, with bus or bicycle. Stayed 1 day (Nov. 11). Special parking for campers, with services. Free. Near the Eroski supermarket. Center is 1 km, the beach of Navia is about 1 kilometer walk. Market every Thursday. Stayed for half day (Nov. 12). Mix-parking for Playa Arnelles, with access to the beach via a steep stairs. Toilet and beach showers present. Free. View of Cabo de San Agustin and Lighthouse. Wonderful quiet place! Stayed one day (Nov. 13). Special parking for campers, with services. Free. About 800 meters to the walled city of Lugo. With view of the River Mino. Near sports building and parquet Rosalia. Laundry services possible at Avenida Americas near Mercadona (1 km). Stayed 3 days (Nov. 14-16). Mix-parking. Free. Services for campers, nearby, infront of Social Center and Sports building. Supermarket Mercadona nearby. About 15 minute busride to Santiago de Compostela, which costs 1.50 per rit. Last 6 km walk Camino de Santiago. Stayed 3 days (Nov. 17-19). Small parking infront of Santa Marta beach, about 1 km walk to the village center via a long nice boulevard. Free. 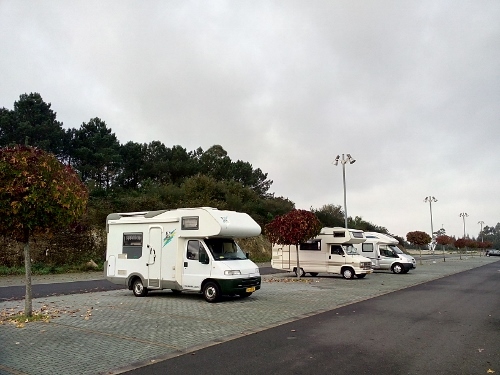 Services for camper opposite the parking at Repsol tankstation. Stayed 2 days (Nov. 20-21).